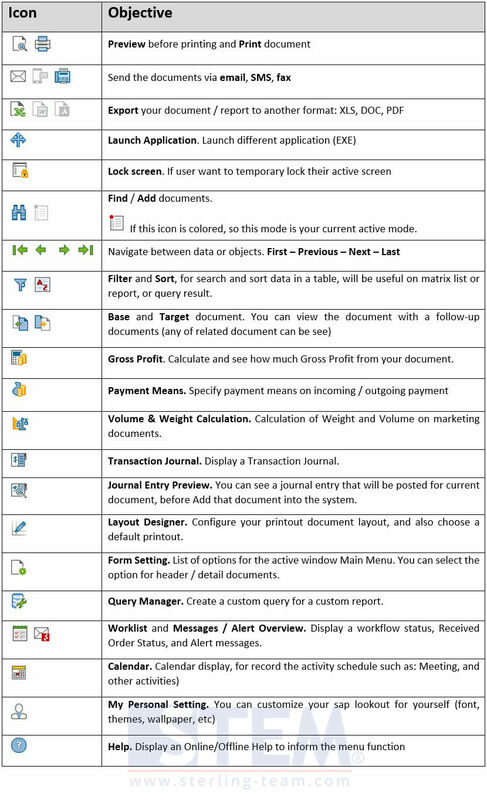 There’s a lot of icons on your SAP Business One, isn’t it? Too hard to understand or feels difficult for remember each function? In case you want to customize your tool bar composition, what can you do, just to simplify the layout? 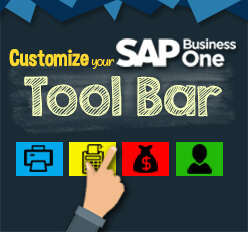 Maybe you can hide some items that you won’t use as a SAP Business One user. And now, how to hide the unused icons? There’s 7 parts of tool bar: File, View, Data, Go to, Tools, Print Layout Designer, and Cockpit. You can right click on the empty spot (right area). Unticked the unused, example: you want to hide Tools and Cockpit Tool Bar.